One of the physical therapists I was shadowing put her patient on a foam roller. He was wincing, squirming, and complaining the whole time he was rolling out his iliotibial band (IT band). Wondering if I would feel the same way about this innocent-looking white foam cylinder, I rolled out my IT band during my break. But it was totally worth it. I bought one for myself and I still have it. In fact, it has travelled around the country with me! You may be most familiar with the fully round roller, but a half roller can be useful as well. Here are six ideas of how to use your half roller. Lay on your back with your knees bent. Place the half roller (flat side down) just below where a sports bra line would be, or the lowest aspect of your shoulder blades. 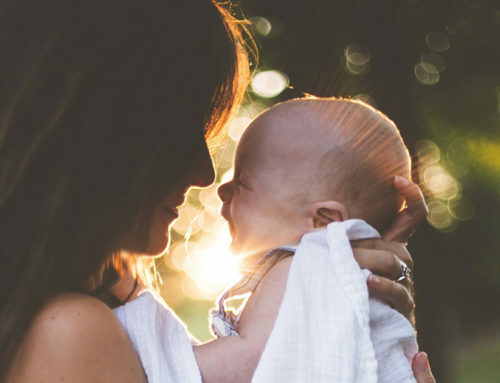 Support your head with your hands and extend your head back. Stay here and move your knees a smidge from side to side 10 times. 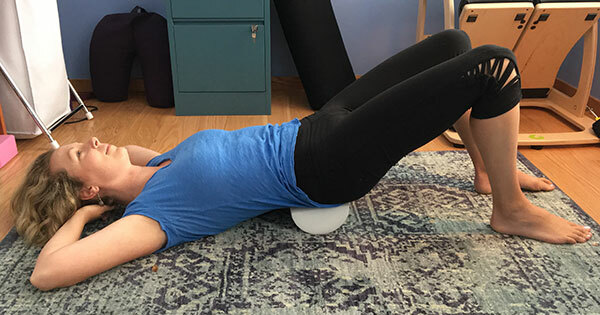 Repeat this, inching the roller up a few spinal segments with the roller a little closer to your head. 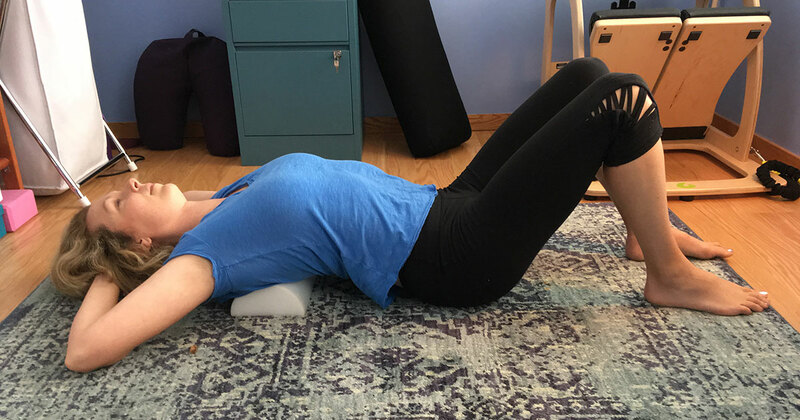 Use a half roller for lumbar flexion: as you pull in your lower abdomen and flatten your spine, your rear end will lift off of the ground. Place the roller (flat side down) under your low back for some small pelvic tilts. Exhale, pulling in your lower abdomen as you flatten your spine. Your rear end will come off of the ground. 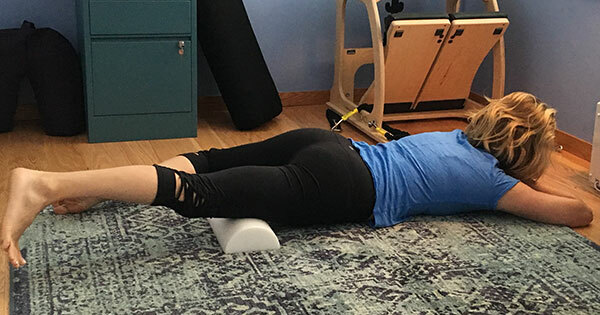 Lumbar extension with a half roller will help with back extension as you release your rear end back to the floor. Inhale and release your back, allowing your rear end to touch the floor. This helps you get more back extension. 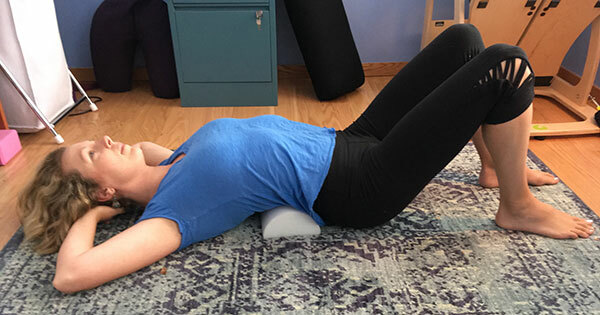 Place the roller (flat side up) under your sacrum. Take a breath in. Exhale and flatten your spine towards the floor. Try not to puff your abdomen up when you flatten. Inhale and arch your back, softening in the hip crease. 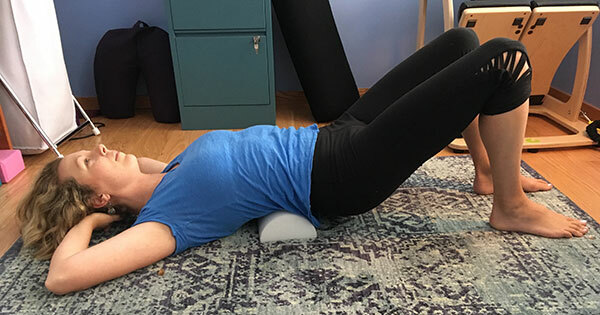 Rock your pelvis back and forth using the roller to help you move with greater ease. 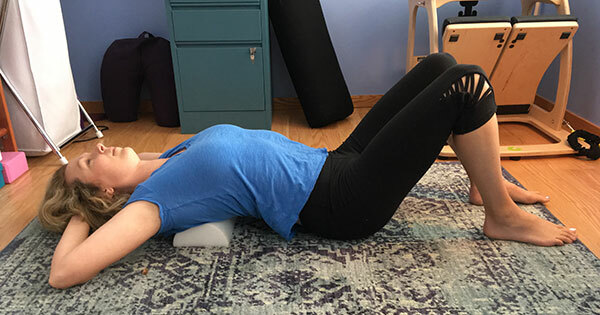 Place the roller (flat side down) at your sacrum. 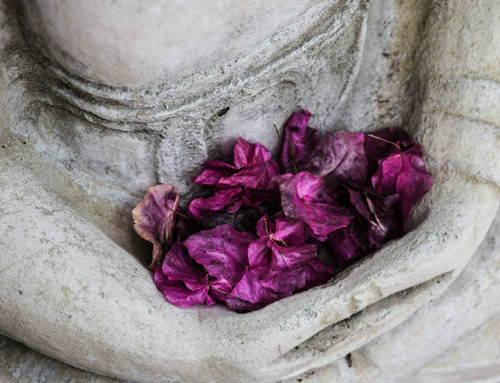 Rest here as you move your knees in and out, getting glide of the sacrum. If your spine and/or sacroiliac joint is hypermobile, the mobilizing the sacrum will not be for you. 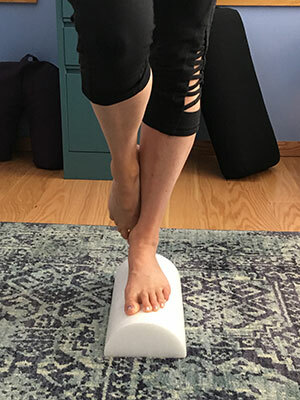 Stand on the roller (flat side up and perpendicular to your foot). Practice standing nice and tall. If that is easy, try variations like looking right to left, using arm weights, etc. 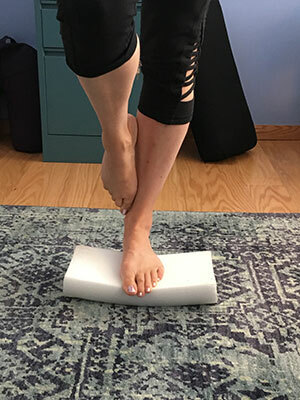 to challenge your balance and strengthen your foot. Having your toe down for balance is always a good modification. You may find this is a nice way to train for standing postures like Tree Pose. 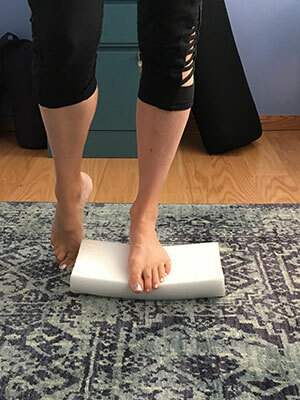 You will want to make sure that the balance work is not too advanced so you don’t roll your ankle. Lay on your stomach with the roller (flat side down) underneath your quad muscles in the front of your thigh. 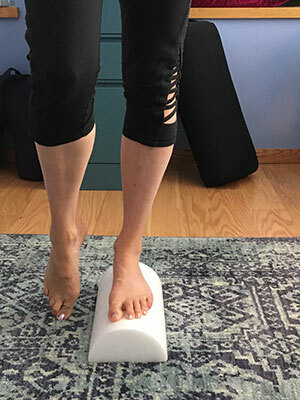 Bend and straighten your knee a few times then move roller to a new spot (yikes, this one is effective and a little tender!). 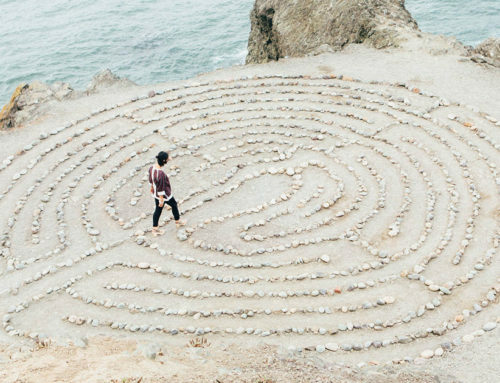 Work with your physical therapist to make sure these ideas are right for you. Stay tuned next month for ways to use a full length roller!